I just turned off the lights and closed the bathroom door, leaving Tammy sitting on the toilet in the dark when I had a thought. The next time you go, close your eyes and give it your best shot. Let me know how you do. Gallery | This entry was posted in Daily Life and tagged daily life, humor, postaweek2012, Tammy, toilet humor. Bookmark the permalink. 6 Responses to How Do They Know? I think you should give it a try first and let us know what the outcome is. It’s probably the same with blind people wiping. 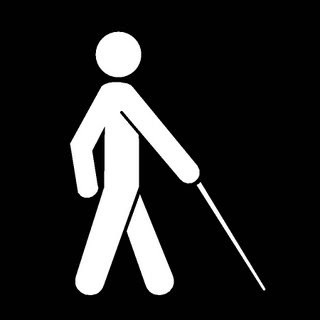 I think blind people have a set number of times they wipe their buttholes before putting their skeevies back on. Unless they hop in the shower right after. Do they use baby wipes? That sounds like something my son would ask me. I agree with CaptKitty. Try it and let us know. Uh. Why did you do that to Tammy? That was mean! You know, I think this is a trap. I feel a Chili Peppers quote is appropriate here: Some people do it by the book, but I prefer to go by feel.